A lot of famous people have suffered with depression. The list includes singers, actors, world leads and authors. While these famous people may have had different forms of depression the one thing they have in common is that they were able to accomplish great things despite their struggles. If you have the symptoms of depression, treatment is available. Please seek help. There are different types of depression such as clinical depression, bipolar disorder, and postpartum depression among others. Regardless of the type of depression there is someone famous who has been diagnosed with suffering from it. Ashley Judd – American actor. Drew Carey – American actor, comedian. Drew Carey has said he has battled depression. Based on the description, it is thought he suffers from Bipolar Disorder. Heath Ledger – Australian actor. Depression. It is reported that Heath Ledger battled a severe bout of depression before his death in 2008 from an accidental drug overdose that was caused by a toxic mix of prescription drugs. Hugh Laurie – British actor. Depression. Hugh Laurie said his depression started when he was a teenager. His mother suffered from bipolar disorder. Jim Carrey – Canadian actor, comedian. Jim Carrey has battled bouts of depression and was treated with Prozac. Reports indicate that he experiences the roller-coaster highs and lows commonly associated with bipolar disorder. Owen Wilson – American actor. Owen Wilson was being treated for depression at the time of his suicide attempt in 2007. Richard Jeni – American comedian. Academy Award winning actress Emma Thompson suffered from depression after her failed attempts to have a second child via IVF. Rosie O’Donnell – American actor, comic. Depression. Entertainer Rosie O’Donnell has battled depression all of her life. She reported that she was finally able to free herself of its grip with the help of anti-depressants. Kirsten Dunst – American actor. Kirsten sought help in 2008 at the Cirque Lodge Treatment Center in Utah for her depression. Frankie Howerd – British comedian. Frankie Howerd suffered from depression in part due to his being uncomfortable with his sexuality. He did of natural causes at the age of 75. Angelina Jolie – American actor. This actress has gone through severe bouts of depression at various times in her life. She cut herself as a teenager and hired a hit man to kill her. She also has stated that she battled postpartum depression. Rodney Dangerfield – American comic. Comedian Rodney Dangerfield had wild mood swings indicative of bipolar disorder throughout his career and was treated for depression. He died at the age of 82 from complications after heart valve replacement therapy. Elizabeth Hartman – American actor. The youngest woman ever to be nominated for a Best Actress Academy Award, Elizabeth Hartman dealt with depression all of her life. She was found dead from a 5 story fall and was ruled a possible suicide. Other celebrities who have battled depression include: Woody Allen, Delta Burke, Christian Bale, Maria Bamford, Halle Berry, Reese Witherspoon, Sarah Silverman, Brooke Shields. In 2005, unofficial biographer Hank Bordowitz reported that Billy Joel has suffered from depression and alcoholism for many years. Olivia Newton-John – Australian singer. Olivia Newton-John suffered from a severe bout of depression after the disappearance of her long time boyfriend. 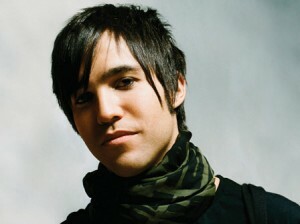 Best known for his work with the band Fall Out Boy, Pete Wentz has been taking medication for bipolar disorder since the age of 18. He had a failed suicide attempt when he was younger and became a spokesman for The Jed Foundation’s program to help prevent teenage suicide. The cause of depression for this hip hop rapper was a very heavy workload coupled with a large IRS debt. In 2003, Sheryl Crow spoke of her lifelong struggle with depression. She has stated that her depression is inherited and that she has had bouts of clinical depression as well as event-based depression. Other singers who have suffered from depression include Ville Valo, Jon Bon Jovi, Joe Budden, Melanie Chisholm, Kurt Cobain, Billy Corgan, Ian Curtis, Gwen Stefani and Robin Williams to name just a few. J.K. Rowling suffered depression between the ages of 25 and 28. She told Oprah that depression was “the terrible place that allowed me to come back stronger.” She later went on to write the acclaimed Harry Potter series. It is reported that Ernest Hemingway had a family history of both depression and suicide. He committed suicide in 1961. Ned Vizzini – American writer. Other writers who suffered from depression: Kurt Vonnegut, David Foster Wallace, Evelyn Waugh, Hans Christian Anderson, William Styron, Amy Tan, Anne Rice, and Eugene O’Neil to list just a few. Mark Roget started work on the thesaurus as a way to battle depression. Thomas F. Eagleton – American senator. Manic depression. Thomas F. Eagleton was appointed then removed as vice president candidate on the Democratic ticket by George McGovern due to ‘grave concerns’ about Eagleton’s mental health and for his use of thorazine, a powerful anti-psychotic. After the death of his son from blood poisoning, President Coolidge became clinically depressed. He slept most of the day and lost all interest in political affairs. Since depression wasn’t understood in the 1920’s, he did not get the help he needed and remained in a depressed state for the rest of his life. He developed depression while in the midst of a grueling lawsuit. He was treated and recovered. The Danish filmmaker suffers from depression and other phobias such as fear of flying. He revised the script for his film Antichrist as an exercise to help with his depression. Other notables who have had depression include: Winston Churchill, Boris Yeltzin, Abraham Lincoln, and basketball legend Jerry West.